On the first floor, one flight down from the main living areas, this comfortable fully carpeted room is on the same floor as the upper library and the balcony into the double height summer garden. 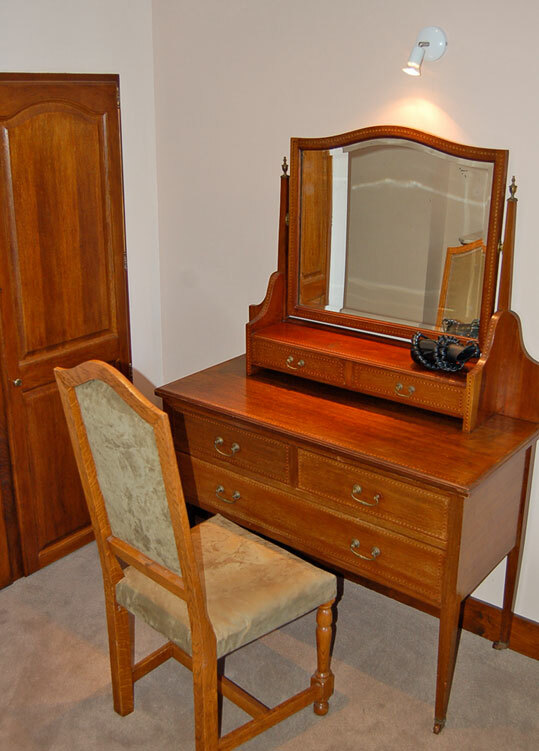 This is a good sized room with a built in wardrobe, dressing table and chest of drawers. 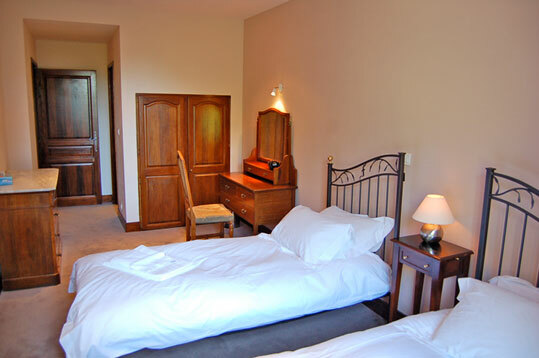 Similar to all our rooms at Le Foulon it features antique furniture chosen for its practicality as well as style. It has a wrought iron super-king sized double bed that was made especially for us at the local forge (thanks Jacqui) and can be split into two single beds if desired. 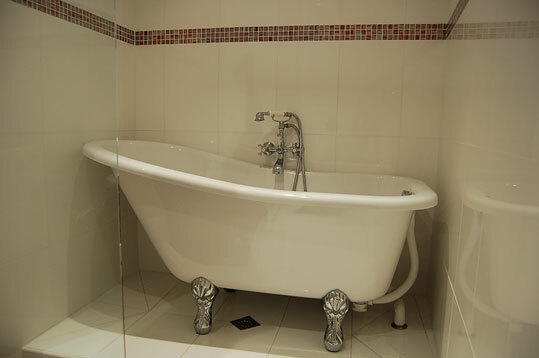 The en suite bathroom has a warm teak floor and large shower with glass divide and small roll top bath with chrome feet. 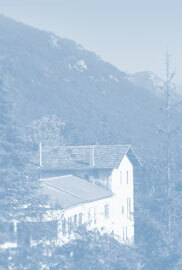 The latter looks old at a glance but is in fact a new acrylic reproduction and is warm to the touch. 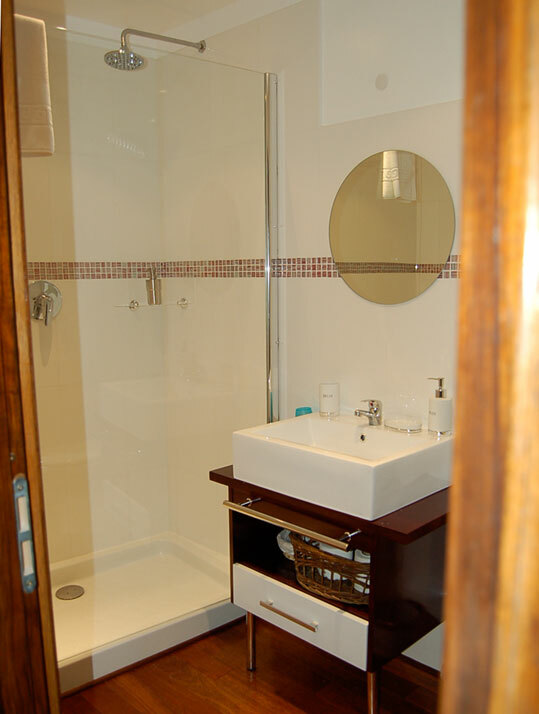 Both the room and the bathroom were completely renovated in the winter of 2008. Before the war when the Domaine du Foulon was still a farm the Jacob Luxury Room was presumably used for storing hay and tall farm equipment. In reality it didn't exist at all as the whole first floor wasn't installed - it formed part of a large double height space underneath the house built on columns. We have retained the same layout as the original room and bathroom, except our bathroom is a little larger. The room is named after an infamous local of the restaurant and bar. 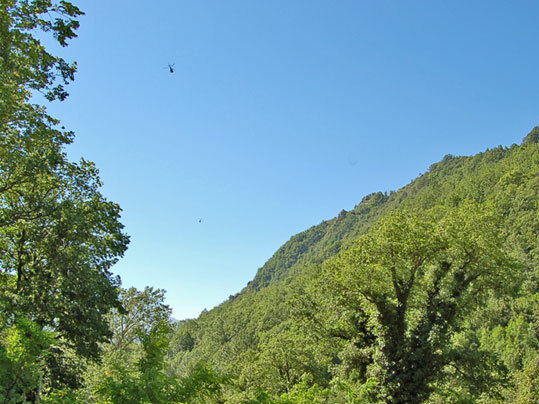 Jacob Atkinson was an unlikely Englishman who used to work on the Nice to Draguignan railway that passed by the mouth of the Gorges du Loup before the Nazis blew up the beautiful viaduct on learning they'd lost the war. How he came to live down here nobody knows, but after the demise of his beloved railway he was often to be seen with his long suffering wife, propping up the bar. He'd arrive late and had an unwritten agreement that he'd be fed on the cheap with whatever the kitchen had to offer, much to the embarrassment of his wife.